Your foot has twenty six bones, nineteen muscles, and more than a hundred ligaments. Which explains a thing or two about why it hurts so much when you step on a piece of your kid’s Lego, in the middle of the night, without shoes on. However, your baby’s feet don’t have proper bones yet. Even your wandering toddler doesn’t have fully developed ones, nor do they have completely functioning nerve endings in their feet to let them know when their shoes don’t fit properly. Which is why you need to be vigilant when it comes to choosing their shoes. When babies are born, they actually don’t have fully formed feet bones at all. It takes until adulthood, approximately into the late teens, before they are finished growing properly. Because your baby’s tootsies are still developing, they need careful nurturing to ensure correct development. Actually, it is not just shoes that matter here, but also ensuring they wear the correct fitting socks as well. Too tight, and it might squash their emerging foot bones, too loose, and they may rub and cause blisters. Also, it is not advised that you share your child’s footwear with siblings, as they will want to make their own mark, literally, on their shoes. Having another child’s foot shape could mold the growth of their own feet. If you think about it, second hand shoes are most likely not something you would willingly choose, and if you did, you would choose carefully, most likely picking the least worn option. Footwear, particularly when it is made of soft materials, like baby shoes are, will be misshapen easily, and this is not something you want to start your baby off with. 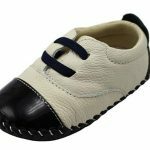 So what things are we looking for in baby or toddler shoes? Or other natural materials. The linings need to be soft and natural, made from something breathable – like a soft leather. Preferably, from the best quality soft leather. The shoes themselves need to be light to wear, with easy grips, to help with those first essential steps. Of course you need to leave room to grow, and remember to check and measure your child’s feet roughly every six to eight weeks to make sure they still fit. So, biology lesson over, how do these first baby walkers by Orgimmar measure up to our check list of desirability for our precious one’s first steps? First up, we need to check the design of these little cuties. These are made of soft leather, with both a leather upper and leather outer sole. They are light weight, and have decent grip soles. In terms of styles, there are at the time of writing, nineteen available, and they cater for both boys and girls, although, as per usual, there do seem to be more on offer for girls. Choose from an array of colors and styles. Some are hollowed out designs, some have cutesy stick on flowers, some are Velcro fasteners, while others tie up with more traditional laces. With nineteen to choose from, you’re unlikely to be unable to find something that you like. In terms of what these look like, they seem at first glance to be good value for money, as they are full leather and the workmanship seems to be fairly good overall – with one or two slight issues. We would mention that in a small percentage of cases, the shoes featuring the stick on/ sewn on flower design, have sometimes fallen off. This is probably in less than five percent of reported purchases however, but it is worth bearing in mind. Overall, the actual shoes appear to hold up pretty well. Obviously, these are probably not meant for outdoor wear, or at least not in adverse weather conditions! If you look at the leather sole of the shoe, you will notice two rubber circular patches on it. This helps your baby balance better, as they come to grips with walking in the world around them. 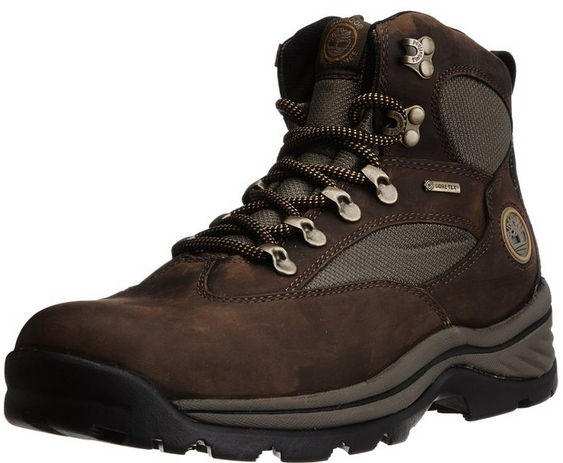 From a comfort and fit point of view, these seem to do their job pretty adequately overall. And although $15.99-$20 is not super cheap, you can spend an awful lot more on shoes for babies, so value wise, we think these are on target! ARE THERE ANY PROBLEMS WITH THIS SHOE? As stated, the main gripe – which does only seem to affect a minority of purchases, is that if you have one of the designs with a stick on flower, it’s possible that this may come off. Reports of the actual shoe itself coming unstuck, seem to be a rare occurrence though. WOULD WE RECOMMEND THESE ORGRIMMAR BABY FIRST WALKERS? We think these are a good little pair of first shoes, for your baby’s first steps. We are slightly disappointed that out of the nineteen styles currently available, only about four seem to be suitable for boys though! In terms of fitting as expected, a highly impressive 79% of them fit correctly first time, possibly helped by the simple sizing guide, with approximate ages shown per size. Apart from that, these seem to be a good first shoe that is nice and soft for newly formed feet to toddle around in, comfortably!